Lush Fab Glam Inspired Lifestyle For The Modern Woman: ﻿Fab Apps For Small Businesses, Entrepreneurs And Bloggers. 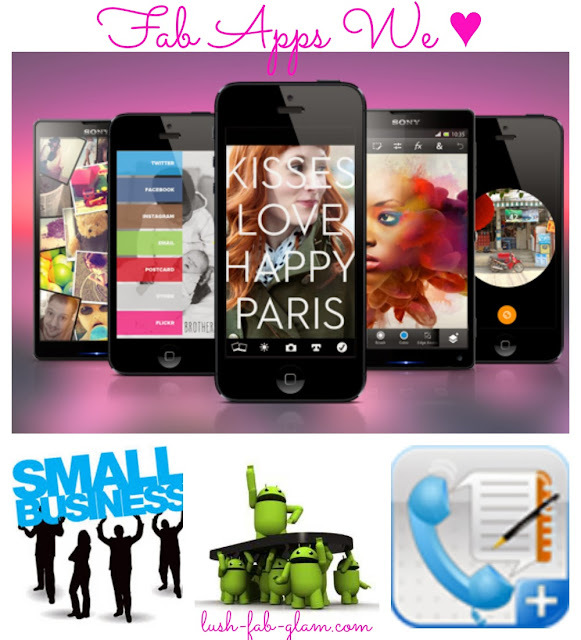 ﻿Fab Apps For Small Businesses, Entrepreneurs And Bloggers. Whether you own a boutique, floral shop, cupcake bakery, online store or you're a savvy fashion, beauty or mommy blogger, you are among the growing number of go-getters who are embracing entrepreneurship and aiming for success with your own small business. Two important factors for small business success is being able to multitask and working efficiently. Business owners are now more aware of the vast benefits of having an effective online presence, being organized and the importance being able to work-on-the go. Learning to utilize mobile app technology is one of the best and most cost effective ways to accomplish this. Apps provide avenues to easily communicate with and provide quick but quality service to customers. Here at Lush-Fab-Glam.com for example being readily available for mobile meetings with new clients, following up with existing clients and meeting deadlines for our site content and editorial can all be overwhelming. Thankfully our trusty smart phones and savvy new apps like Talk Notes Plus, have come to the rescue on several occasions. The Talk Notes Plus android app is one of our recent fab finds and it easily doubles as our note taker, follow-up reminder, extended contact list and more all while on the call with a client. Read on to see why we love this app and why every small business owner or anyone needing to be more organized and effective with their day to day tasks should install this very affordable $1.99 app. Talk Notes Plus app by Mobile App Tek is perfect for professionals and entrepreneurs who conduct business on the go, from real estate agents to travelling sales personnel and more. Talk Notes Plus lets you manage your contacts and store detailed descriptions about their order, company, department, the project/campaign you are working on and any other tidbits that you would like to recall from your phone conversation. You can also manage your call log and most importantly take notes while on a call (see image 1 below), that means no more reaching for a note pad or scribbling on sticky notes that can be easily misplaced. Now you can create and store organized notes of your important calls with your customers, business associates and clients using your cellphone. Plus you can easily transfer those notes to an excel spreadsheet or access them on Google cloud. 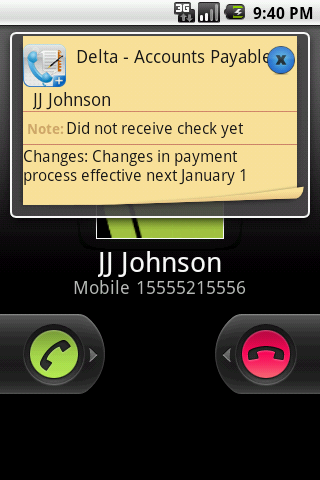 One of our favorite features of the Talk Notes Plus app is that notes made during a previous call automatically shows up on screen during an incoming or outgoing call to the same contact even before the call connects (see image 2 below). It's the perfect way to recap your last conversation and any pertinent details from that call and it's especially handy when dealing with deadlines. You can choose to type in the notes from your call or create hand notes and sketches with your android smartphones like the Samsung Galaxy. What are your favorite business apps and will you try Talk Notes Plus? Share with us by leaving a comment below. This review is brought to you by Mobile app Tek all opinions are 100% mine. Sharing is caring, spread the word about this fab app to your small business owning, entrepreneur and blogger friends.